Hello all! It has been a very long time since I have posted anything here. In fact, it has been 8 years. What a roller coaster ride I have been on in that time. But, rather than bore you with the events that have come to pass, I have made the decision to move forward in my life with gratitude, age and grace. Many years ago, I watched the movie, “The Secret” which I found very interesting. But life being as it was and me being who I was, I move along in life. Recently, the Secret came back into my life. It was very subtle. I am currently working in a job I never expected to get, but has become something good. My boss is a wonderful man who gives to all and passes on his abundance willingly. I am not sure at this moment what is going to happen in my life. I believe in God and the Law of Attraction. In the last two weeks, I have not “attracted” vast amounts of cash, but little by little, I do see that Law of Attraction working its way into my world. Little things like making a sale within minutes of asking for it. A sale that saved us that week. I see it working in my relationship with my daughter, my nemesis, who I normally am at odds with constantly. We are seemingly on the same “frequency.” I see it in the teeny tiny refund from the government amongst a mound of debt. I am compelled to tell you all that I began this blog in response to a book I wrote after a very tough time in my life called, “What a Difference a Day Makes: A Survival Guide for Women.” It is no longer available for sale, but for some strong reason, I feel that it will become available again. 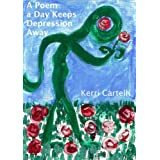 I live in Newtown, CT. After the shootings in my town in 2012, I wrote a book of poetry called, “A Poem a Day Keeps Depression Away.” This was a collection of poems that came out after the tragedy and while I was struggling with a health problem that engulfed my life. I have to be completely honest here by saying I have not thought of these books in a long time. But I do believe in the Law of Attraction and that God only brings good things into my life. So, I am following this instinct I am feeling to write about it and re-post these books. I don’t know what will become of this, but I do plan to write about my journey with the Law of Attraction so that if there is anyone out there who feels the same way I do or is in the same situation, it may help them. 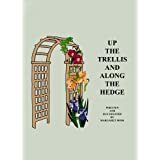 This entry was posted in Articles, Uncategorized and tagged abundance, god, gratitude, law of attraction, love, Newtown, poetry, rhonda byrne, science of getting rich, the secret, wallace d. wattles. Bookmark the permalink.